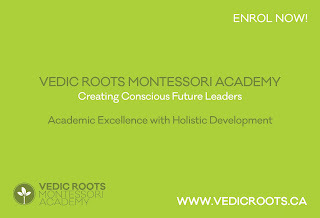 Vedic Roots Montessori Academy is Growing - Enrol Now! ~ The Toronto Hare Krishna Temple! 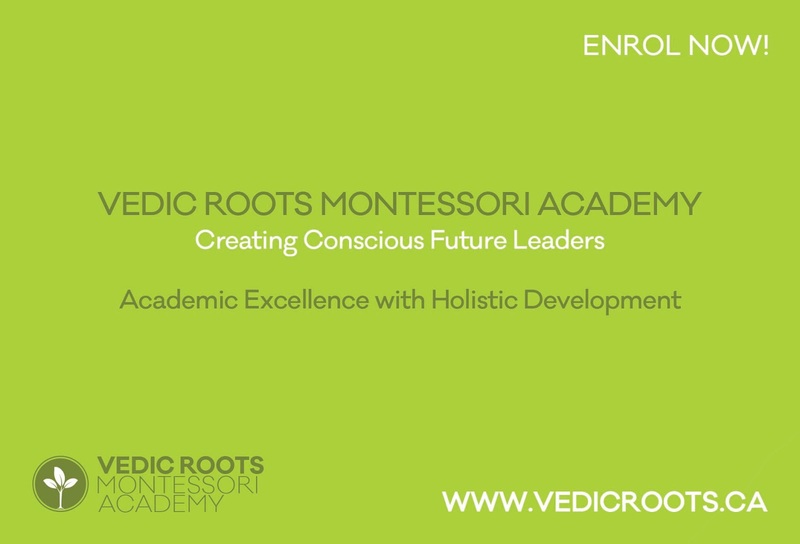 Vedic Roots Montessori Academy is Growing - Enrol Now! Over the last three years, VRMA has grown into a successful preschool in Toronto that integrates the world-recognized Montessori curriculum with the timeless wisdom of the ancient Yoga texts (Vedas). We are very happy to announce that VRMA is growing and it’s first fully-licensed facility is now open for increased enrolment on a first-come, first-serve basis! 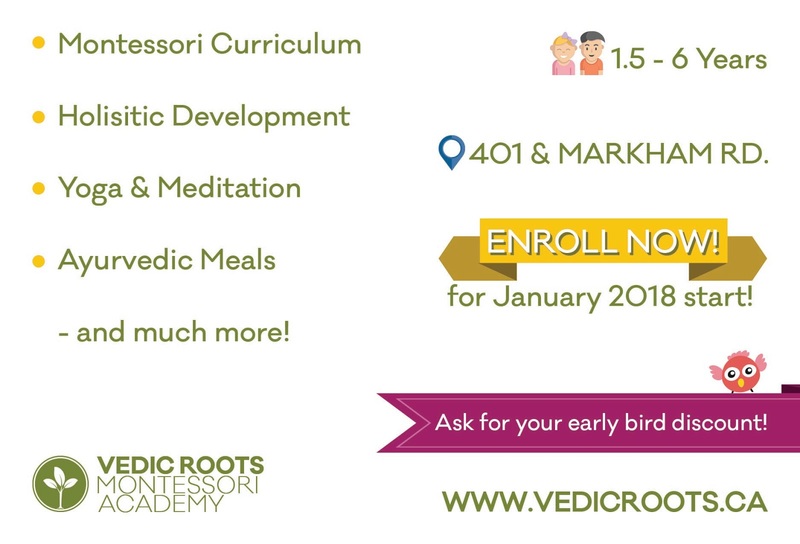 Holistic Curriculum: Montessori learning integrated with universal spiritual principles, values-based lessons for complete character development, fresh and organic wholesome Ayurvedic meals, yoga and meditation classes, French and Sanskrit classes, community participation, and more! Please call us today to book a tour of our facility and help spread the word!